Matchless as a company goes back to the turn of the century, and Brough Superior used Matchless engines because they were the best of the best. This changed in 1938 when Matchless was consolidated with AJS to form Associated Motorcycle (AMC). The new company may have been one of the first major badge engineering firms because the only difference between an AJS and a Matchless was the badges on the tank. This Matchless G9B offered on UK eBay is a “little” different then the rest of the AMC lines of those years. The AMC motorcycle that had a winged “M” on the tank was the G9, and the corresponding AJS was called the Model 20. First offered in 1948 the standard 498cc AMC engine produced about 29hp and would move you along in the mid 80’s. What makes the G9B different is 50 small CC. 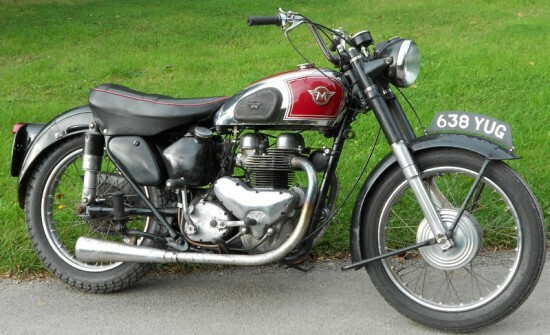 Here is a rare variation of the popular Matchless G9, a G9B. This was a U.S. Export model and AMC’s first effort at increasing the capacity of their twins (to 550CC, by simply boring right out) The bike is basically original and unrestored. The magneto has been rebuilt and this makes the bike easy to start. It sounds good mechanically, doesn’t smoke and has a lovely exhaust note . It rides well and the brakes are OK. It is quite high geared. The speedometer works and the lights and dynamo are all working well. Gearbox and clutch are fine. I imagine these export models may well have been breathed over by the competition dept at AMC, this one is fitted with the sturdy competition footrests. US market was the life blood to the British motorcycle industry. 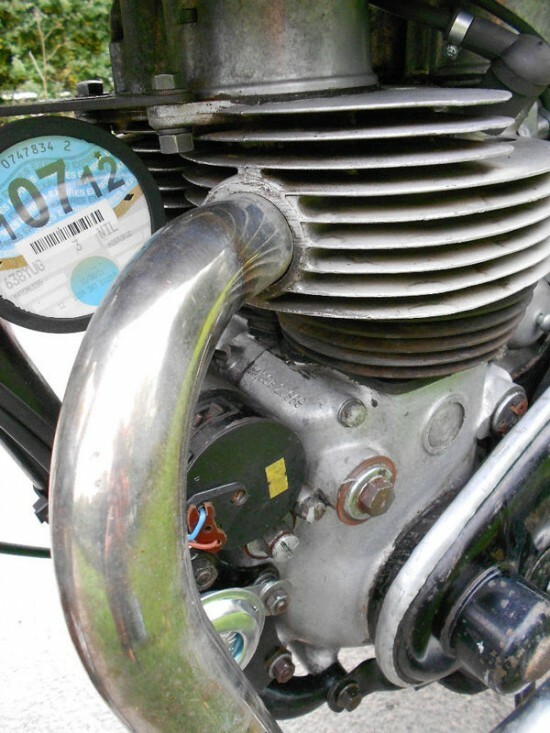 When British bikes failed to sell in the US, British motorcycle manufactures failed. AMC wanted to give the US market what it has always asked for and tried to do this with 50cc. Those extra cc gave only 3 more hp to top out at 32hp from the original G9. The recipient of many of these bikes was the Southern California Dealer Coopers Motor. The bike has not been used much for a long while but seems to be all OK. 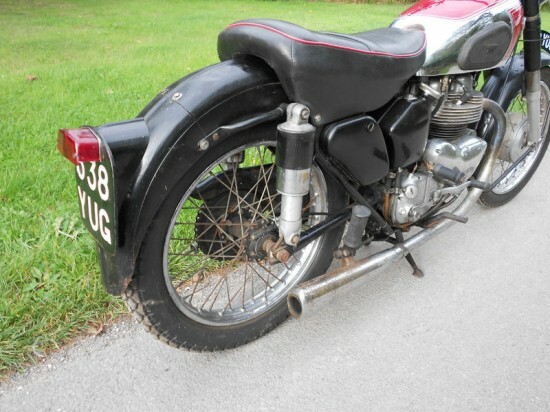 These are confirmed by the AJS & Matchless Owners’ club to be the original matching numbers the bike left the factory with on 9th March 1954. Cosmetically the bike is in dull, ancestored condition. The tank has been repainted but everything else is original. The chrome on the tank is OK but old looking, ie with patina! All black paint work has dulled and is in poor but still usable condition. Wheel rims also are the original Dunlop items in good condition for age but have rust patches that spoil their chrome. The rims and spokes are both very sound and usable though. Exhaust system also has poor chrome. Front tyre is an as newAvon ribbed, rear is a very old looking but not worn Dunlop K70. This is a rare opportunity to own a slightly different even exotic version of the handsome G9. 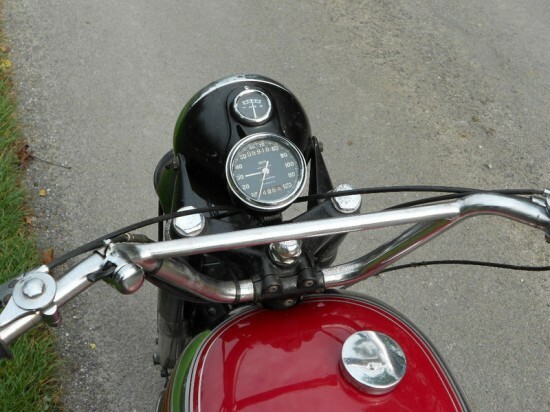 Matchless has always been one of the “also ran” in the Classic Motorcycle community. 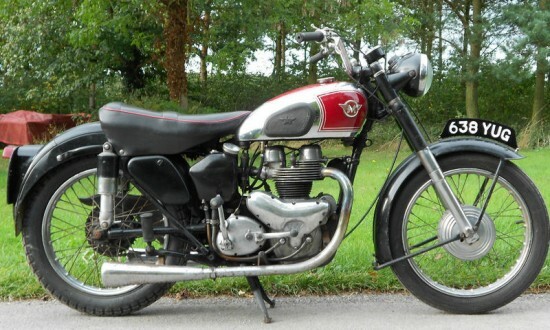 Triumphs sold more bikes in the 1960’s and 1970’s, Velocette sold fewer and therefore are more collectible. Matchless and their brother AJS appears to have had a health market share, but as a collectible they seem to have been left to the side. This only means that they might become the next hot thing. So if you want to hedge some bets, maybe repatriating this UK eBay bike may be a good investment. Im looking for a pre 55′ Matchless. Please any info would be appreciated. Rare SportBikes For Sale » Blog Archive » ClassicSportBikesForSale.com Weekly Recap!